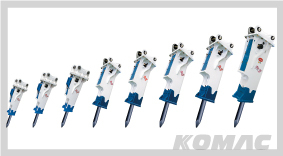 KOMAC, have adopted the strict Quality Assurance System, which is essential for customer satisfaction. ISO certification, CE, TUV mark and other intellectual property rights enable us to be one of the best breaker manufacturers in the world. 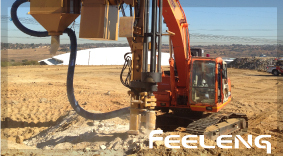 Ideal for trenching in hard and compact ground, concrete or rock wall profiling, quarrying, demolition and dredging. 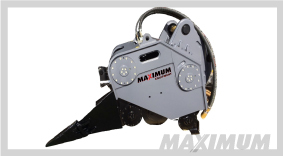 Heavy Duty hydraulically activated ripper tooth using centrifugal force generated by eccentric axis rotation which penetrates and breaks material faster and more efficiently than Hydraulic Hammers. 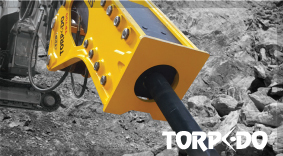 Torpedo are the manufacturers of an entirely new range of revolutionary excavator-mounted hydraulic breakers. 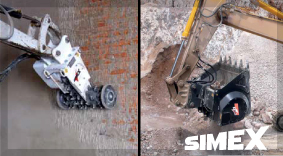 These new breakers are more efficient, more powerful, and more productive than conventional hydraulic breakers.